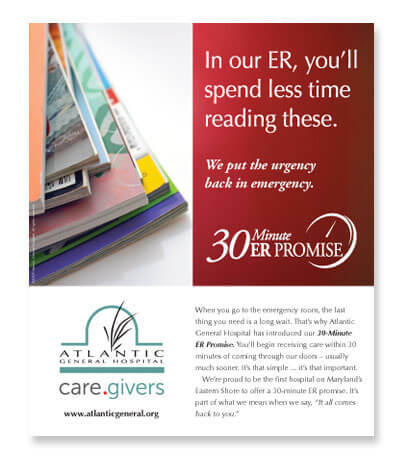 After extensive testing, Atlantic General decided to launch a 30-Minute Promise for treating patients in its Emergency Department – the first such service pledge made by any hospital on the Delmarva Peninsula or in Maryland. This was a golden opportunity to demonstrate clear differentiation in service compared to competing hospitals. 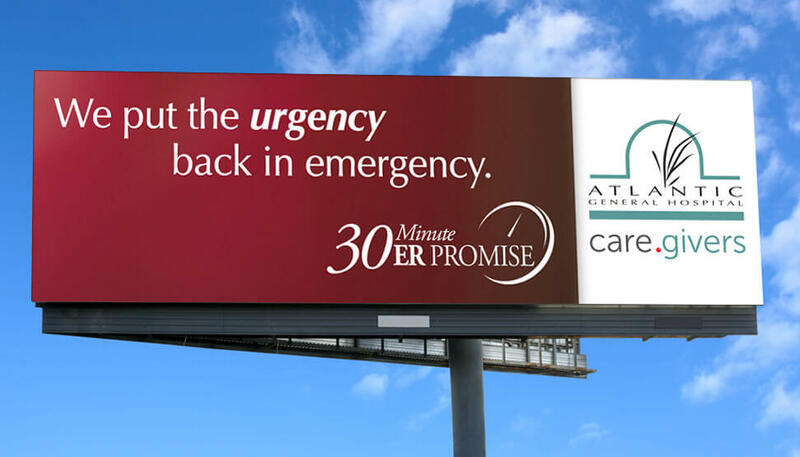 We were asked to create a campaign to publicize and promote the 30-Minute ER pledge to the community. A media event and supporting promotional campaign were launched, creating instant “buzz” in the local and regional market. This was followed by an 18-month MarComm campaign employing outdoor billboards and banners along with print and digital advertising. The production and airing of radio and TV advertising were additional campaign tactics. 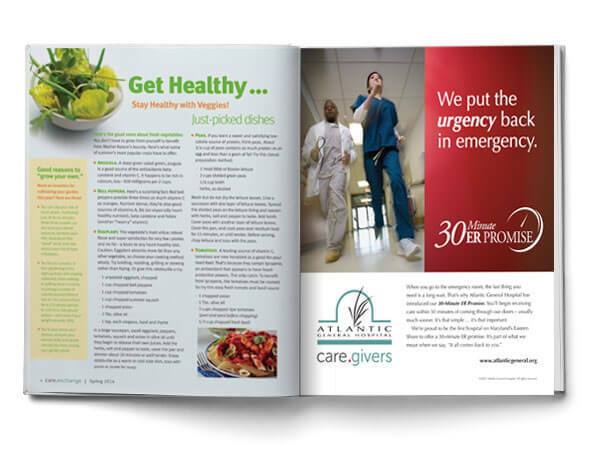 Visits to the hospital’s ER tracked significantly higher (15%+) in the year following the program launch, while competitors were unable to respond with any sort of “me-too” advertising.